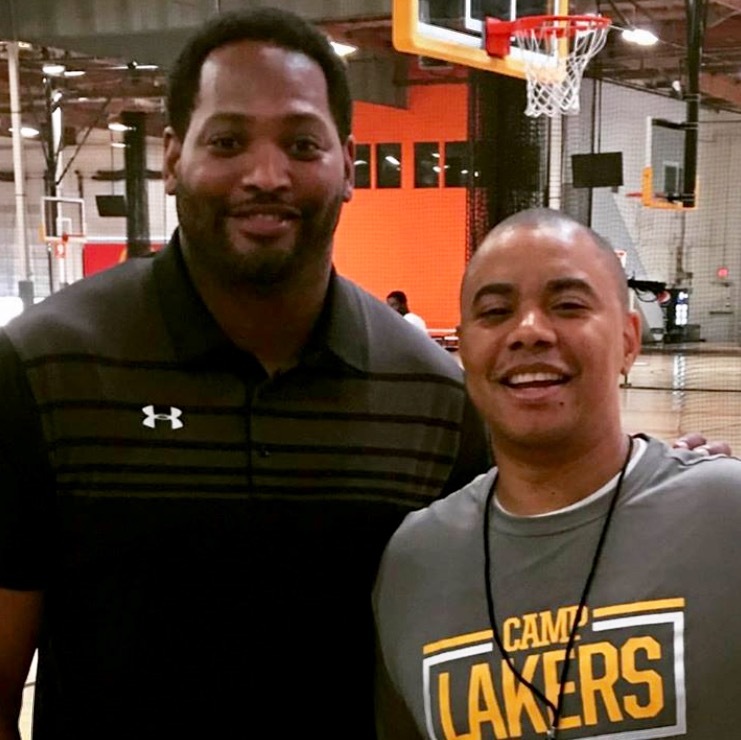 Richard Harris, the former ESPN production assistant turned successful boys varsity basketball coach at Malibu High School (entering his fourth year) sends along this photo with one of the greatest winners in American history, former NBA stalwart Robert Horry. For his career, Horry averaged 7.0 points, 4.8 rebounds and 2.1 assists, during the regular season, while tallying 7.9 points, 5.6 rebounds and 2.4 assists all told in the postseason. These days, Horry serves as a Lakers analyst for Spectrum SportsNet.